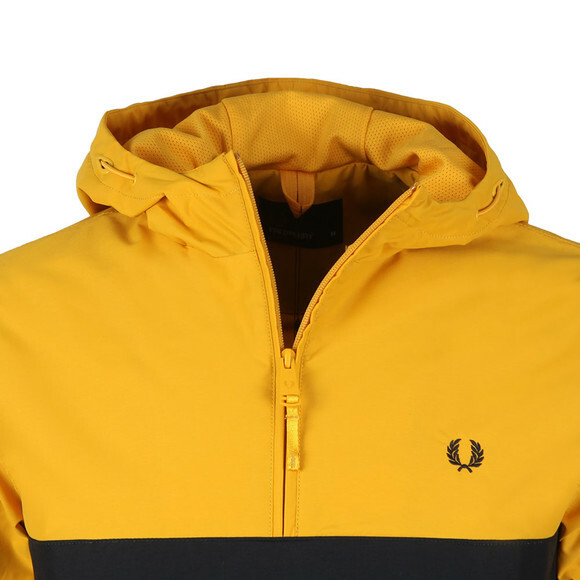 Fred Perry Half Zip Jacket in Bright Amber. 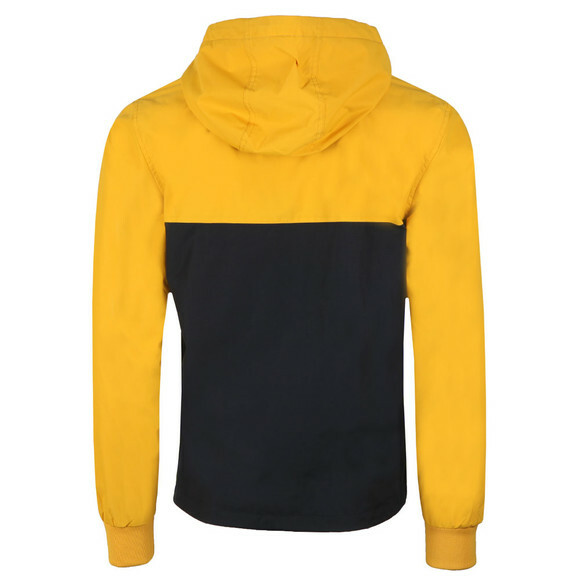 Designed in a trendy colour block fashion with contrasting upper and sleeves. The chest flap conceals the entry to a chest utility pocket. 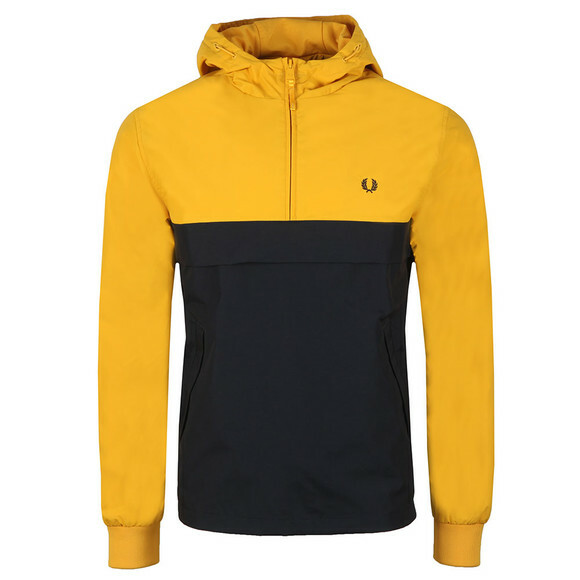 Hand warmer pockets can be foudn lower down on the waist. The jacket has a side zip for easy access and a zip open neck. Finished with an embroidered laurel wreath logo.